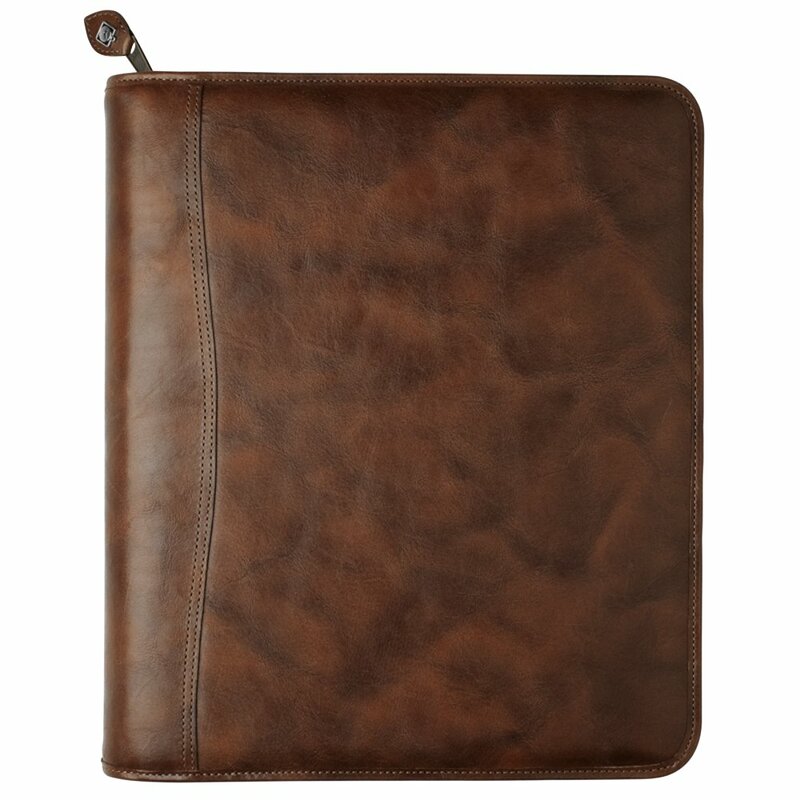 The natural finish on the Outback full-grain cowhide takes on a rich patina from day-to-day use. Each piece is hand-finished, so no two are alike. 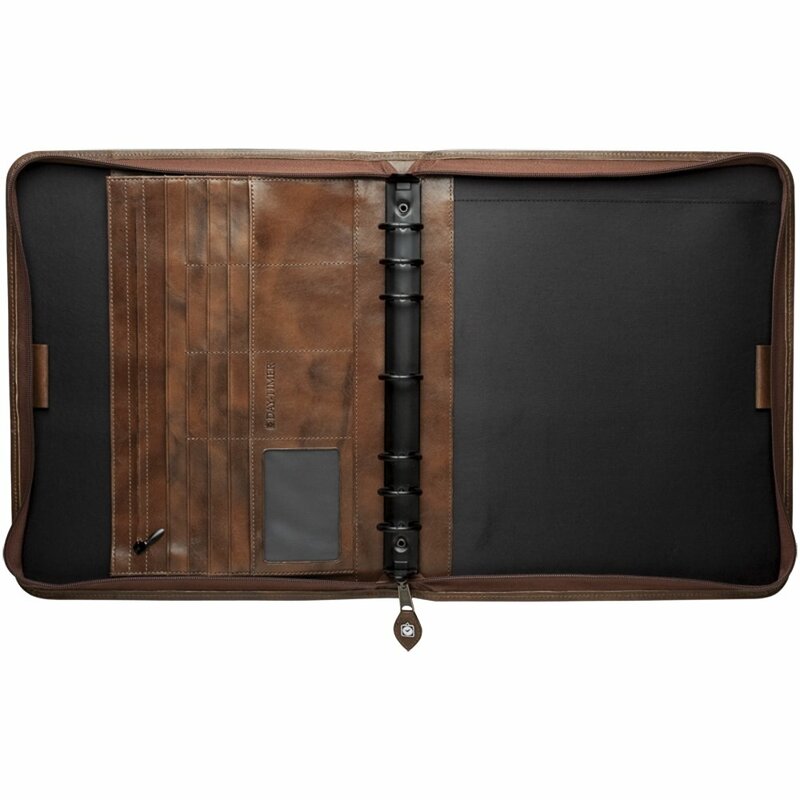 Zippered binders have a multitude of pockets to organise your business and credit cards, ID, and loose documents.